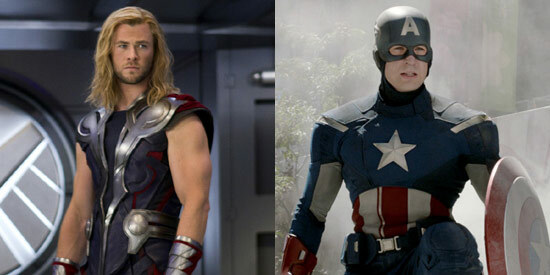 Marvel Studios and The Walt Disney Studios recently announced that the epic super hero adventure Marvel's The Avengers will be digitally re-mastered into the immersive IMAX® 3D format and released in IMAX® digital theatres in the Philippines on April 25, simultaneous with Digital 3D and regular cinemas across the country. Marvel's The Avengers, based on the well-known Marvel comic book series, is written and directed by Joss Whedon and stars Robert Downey Jr., Chris Evans, Mark Ruffalo, Chris Hemsworth, Scarlett Johansson, Jeremy Renner and Samuel L. Jackson. Distributed by The Walt Disney Studios, Marvel's The Avengers marks the third Marvel Studios film presented in IMAX, following the releases of Iron Man 2 in 2010 and Thor in 2011. Marvel Studios presents, in association with Paramount Pictures, Marvel's The Avengers–the super hero team up of a lifetime, featuring iconic Marvel super heroes Iron Man, the Incredible Hulk, Thor, Captain America, Hawkeye and Black Widow. (“Marvel’s The Avengers” will assemble in thePhilippineson April 25 2012. The film is distributed by Walt Disney Studios Motion Pictures International through Columbia Pictures.